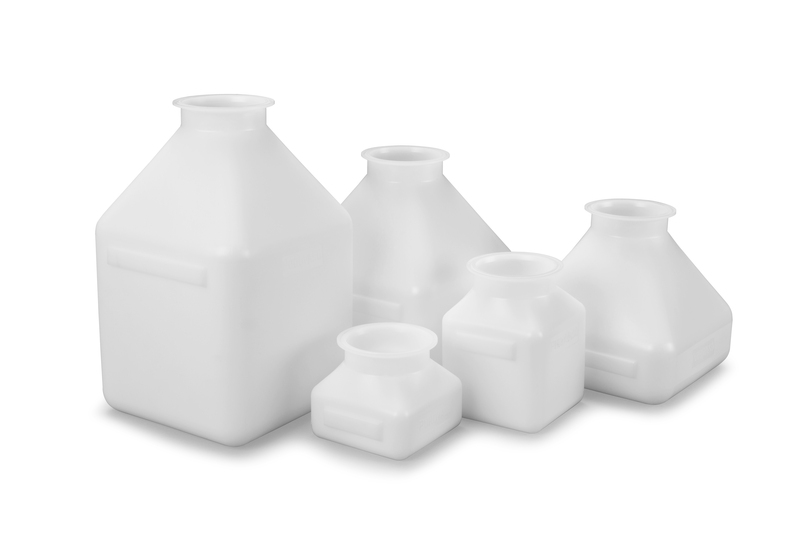 The PuroVaso® range of lightweight plastic pharma containers has been developed to allow users to overcome the challenges that exist with conventional plastic charge bottle designs and stainless steel charge vessels. 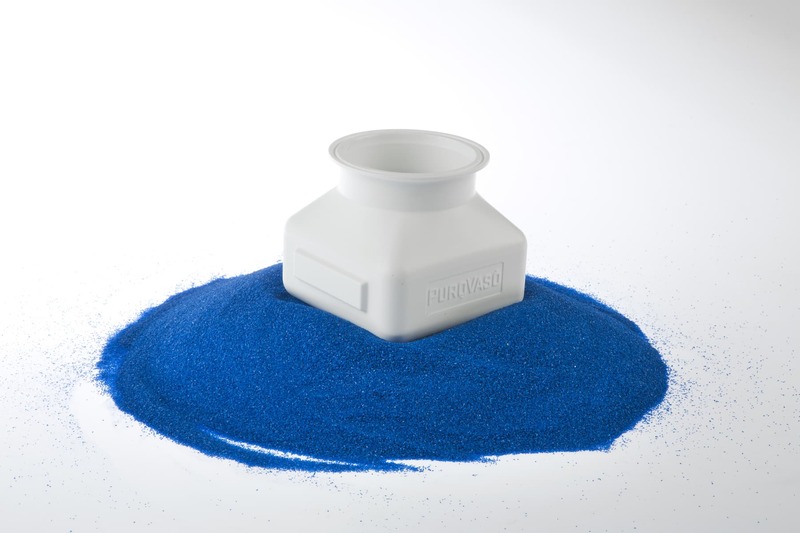 The PuroVaso® pharma container has been meticulously developed using our experience of powder handling and our knowledge of the challenges facing small handling solutions. 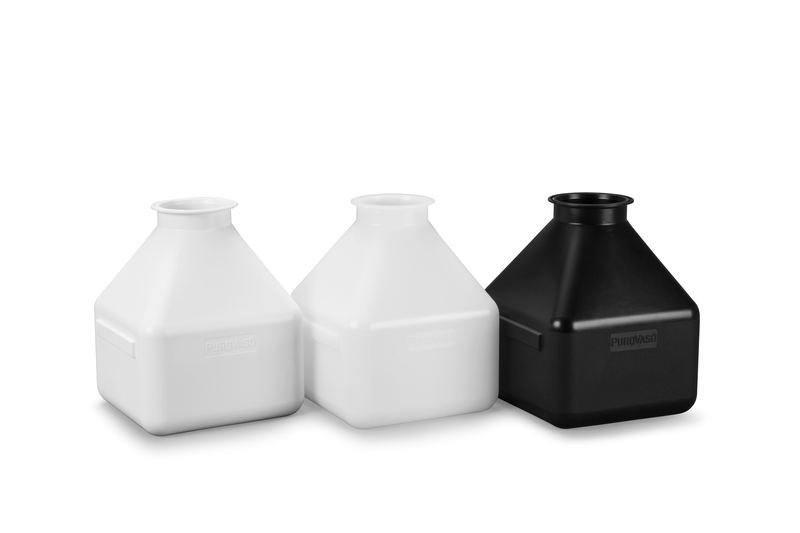 From 1 litre to 50 litre with five further sizes in-between, PuroVaso® offers the largest range of plastic container sizes available. No need to compromise on the container size, just select the volume that matches your batch size. A square bottle geometry, which maximises facility space and reduces equipment stack-up heights. 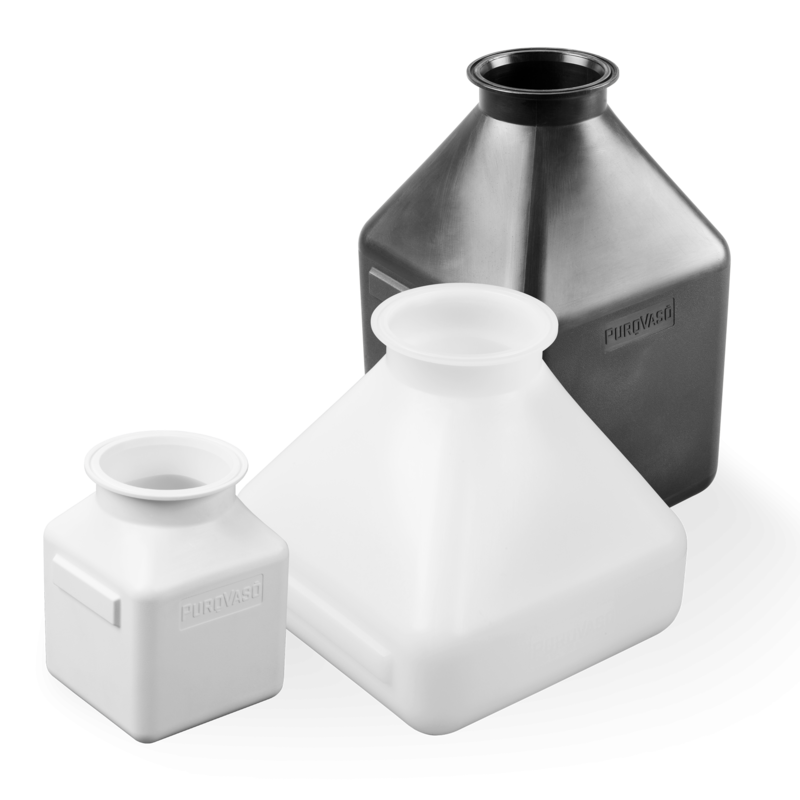 The smarter use of the pharma container geometry reduces storage and transportation costs. Intelligent handling features have been designed into the plastic container. The moulded side profiles allow the container to be effortlessly clamped using the PuroGrab™. With 4” and 6” tri-clamp neck fittings for the plastic pharma containers, the design is deliberately generic to allow its use with your choice of valve. 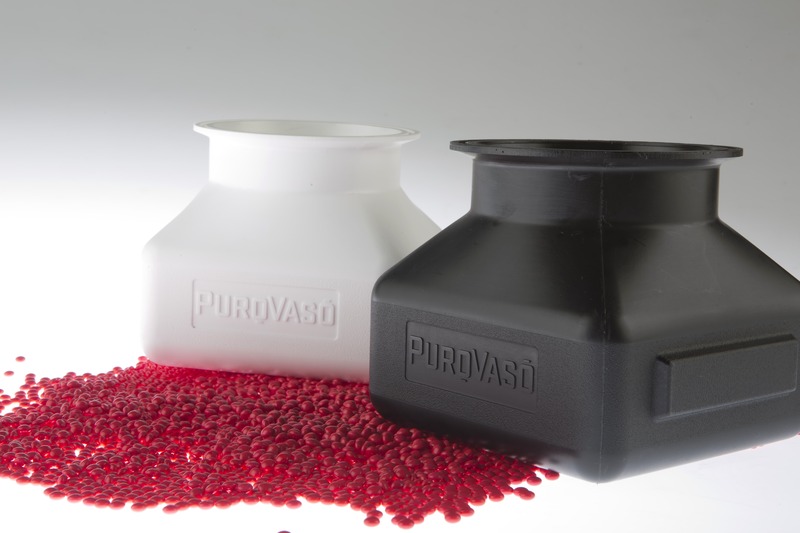 The PuroValve™ from PuroVaso® allows further weight saving design. 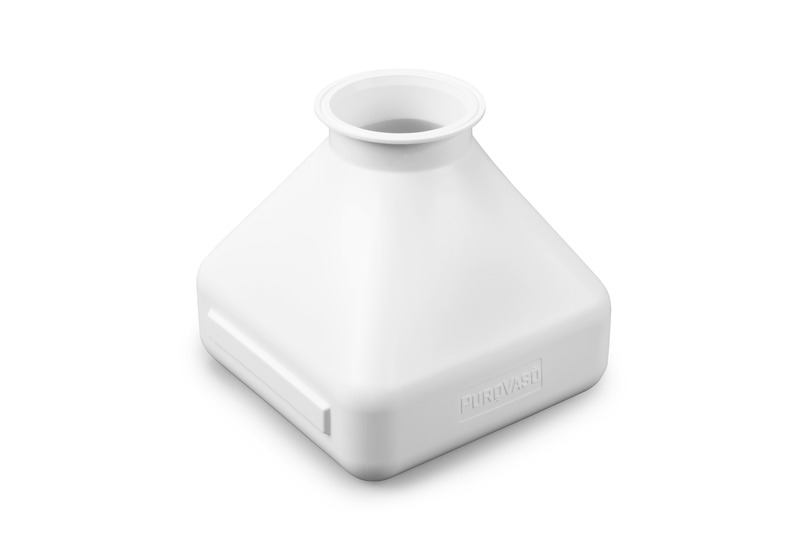 The PuroVaso® pharma container is available in a wide choice of PE materials. 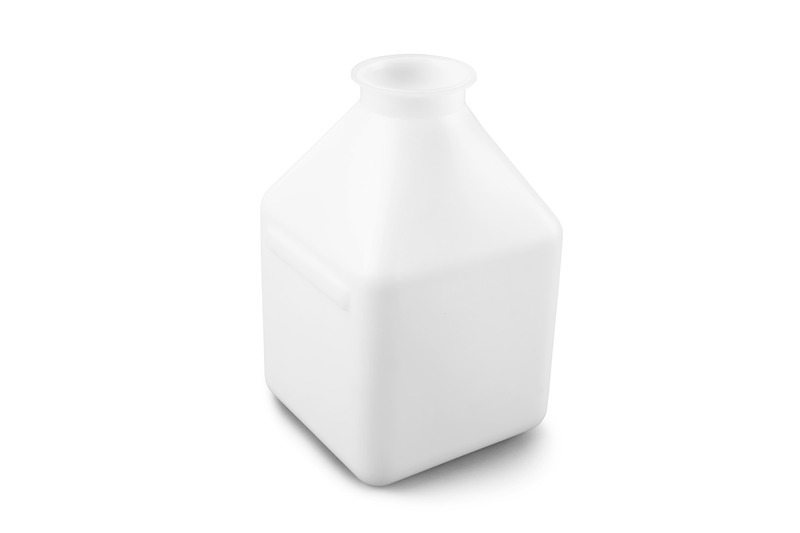 An anti-static ‘Opaque White’ allows the visualisation of the fill level within the plastic container. An anti-static ‘Pure White’ provides a UV protection for light sensitive materials that may be stored and transported within the pharma process bottle. The PuroVaso® process bottle can also be supplied in a ‘Conductive Black’ PE plastic for ATEX and static sensitive applications. Batch numbers are moulded in for full traceability. From dispensing of raw materials and APIs to handling finished tablets, there is a solution for every application!